The keeping ability of a kiwifruit is partly dependent on its species (some varieties keep better than others, see my kiwifruit varieties page for details). 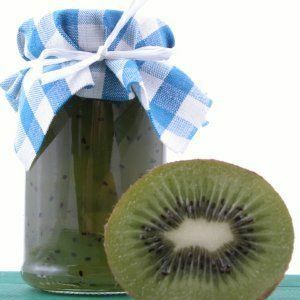 In this guide to keeping and storing kiwifruit I will from now on assume you are a consumer that wants to learn how to keep his kiwifruit at home, so the kiwifruit varieties you want to keep are the currently commercially viable ones (for example the Hayward type). How Long will Kiwifruit Keep? How Long will a Yellow – Golden Kiwifruit Keep? It is generally advised to let kiwifruit ripen at room temperature, then either put it in the fridge (for immediate consumption) or in the freezer (for long term storage). Being sensitive to other fruits’ ethylene production, you can induce or hasten kiwifruit ripening by storing it close to a banana or apple, for example in the classic plastic bag. If you store kiwi in a very sugary solution, it will keep for longer. You can do this by dissolving 3 cups of sugar into 4 cups of water, and boiling the mixture for a while until it turns into a syrup. You then keep the kiwifruit in a plastic bag, completely covered by the syrup.